Neon dry erase markers on glass with black paper background. Well, okay, that isn’t quite all. Liquid chalk looks great but is a pain to clean and a pain to use and just a mess all around. 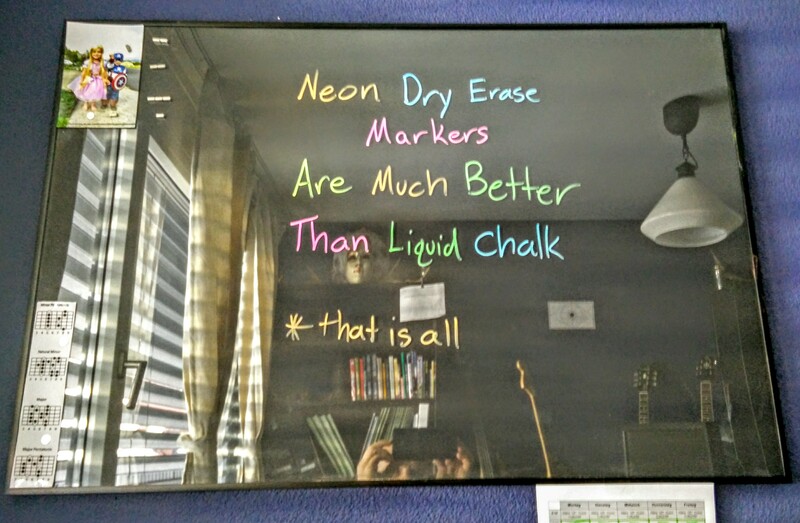 Neon dry erase markers also look great but are easy to clean and easy to use. If you want to make semi-permanent signs, liquid chalk is the choice. If you are after a marker for a dark or black dry erase board, neon dry erase markers are absolutely the best choice.